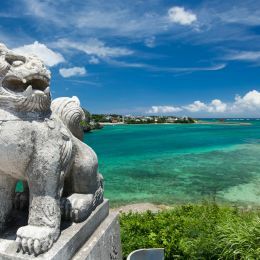 Explore these great things to see and do on and around the island of Ishigaki, from diving and snorkeling in the clear tropical waters to learning about the region’s traditional crafts. One of the most famous spots in Ishigaki – and one of the Top 100 Landscapes of Japan – Kabira Bay is truly picture perfect. 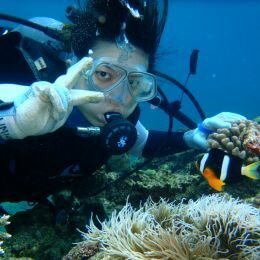 The warm tropical waters around the islands of Okinawa make it Japan’s diving paradise. Located at the east coast of Ishigaki, the Tamatorizaki Observatory offers stunning panoramic views of Ibaruma Bay and the Hirakubo Peninsula. Get ready for lots of fun watersports at this stunning remote beach on the north-west coast. This family-friendly beach is wide and shallow with gentle waves, and its white sand stretches for nearly a kilometer. Part of the Fusaki Resort Village, this public beach welcomes all visitors, and offers snorkeling tours and other ocean activities as well as watersport equipment rentals. Found nowhere else in the world but on Ishigaki and Iriomote islands, the endemic Yaeshima Palm Trees are a nationally protected plant species. Okinawa comprises many small islands, each with its own special local dishes made with native ingredients. So when visiting Ishigaki, be sure to try Yaeyama Soba, a hearty noodle soup topped with pork, fish cakes, and green onions. Ishigaki’s most northern point, Cape Hirakubo (Hirakubozaki in Japanese), is one of the most scenic and untouched areas of the whole island. Ishigaki beef is a type of wagyu beef from Japanese Black cattle raised in the Yaeyama area of Ishigaki Island and fattened for at least 20 months. This white-sand beach is a popular place to stretch out and enjoy views of the beautiful verdant coastline, Okinawa’s highest peak, Mt. Omoto, and the nearby grove of Yaeyama palms. Named after 230m-high Mt. 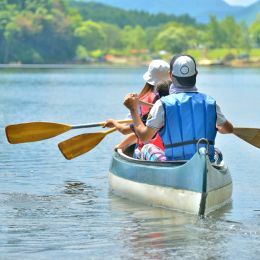 Banna, this large, hilly park has something for everyone, with an “Adventure Playground” for children, forested paths and a bird-watching observatory for nature enthusiasts, and several observatories offering expansive views of the island and sea. Take in fantastic sunrises and sunsets from the Oganzaki Lighthouse, on Ishigaki’s west coast. This Chinese-style tomb built in 1971 memorializes the lives of 120 Chinese laborers who died here in 1852. See the incredible natural phenomenon of a limestone cave formed on top of a coral reef more than 200,000 years ago. Step back in time at Ishigaki Yaima Mura, where 100-year-old traditional village houses of Yaeyama have been carefully restored. The two-day Ishigaki Island Festival is held every autumn in November. There is music and dancing, a large citizens’ parade, and of course lots of food stalls serving up festival favorites. A lovely fireworks display in the evening tops off this exciting event. Earning international recognition, Ishigaki-yaki pottery is crafted using a very special, innovative technique in which glass is fused with the ceramic material. This museum and crafts center is dedicated to minsah weaving, a traditional handicraft of Ishigaki and the Yaeyama region that is thought to date back to the 17th or 18th century. 730 Court is a shopping mall catering to all manner of shopping needs, from Okinawa souvenirs to fashion and outdoor clothing. Enjoy A Full-Day Island Tour of Ishigaki and Taketomi! Venture Out on Half-Day Island Tour of Ishigaki, Okinawa! 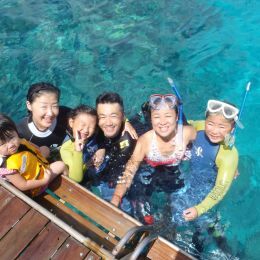 Enjoy Sea Kayaking & Snorkeling in Ishigaki!